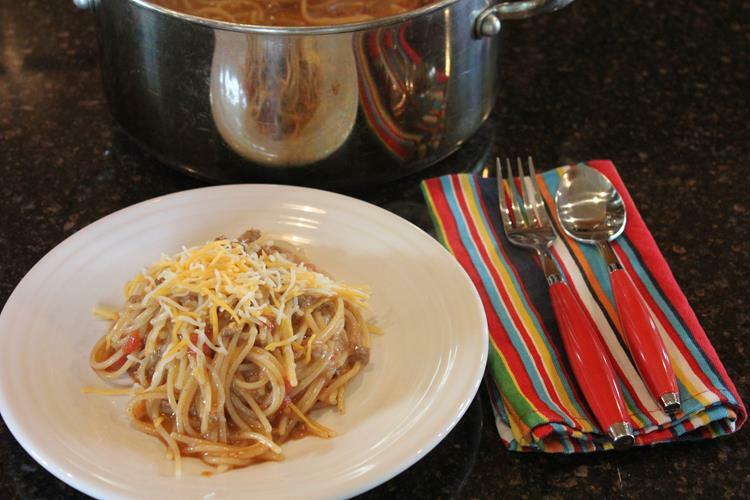 One Pot Taco Pasta is a quick and easy recipe that you can get on the table in no time. One of the best parts about this recipe is that it only uses a few ingredients. Can you ever have too many quick and easy recipes? I don’t think so. Especially recipes for quick and easy dinners that use five ingredients or less. Add in the fact that it can be made in one pot and you have a winning recipe. I love one pot dinners because they are not only quick and easy to make, they are also quick and easy to clean up because you only dirty one pot while cooking. 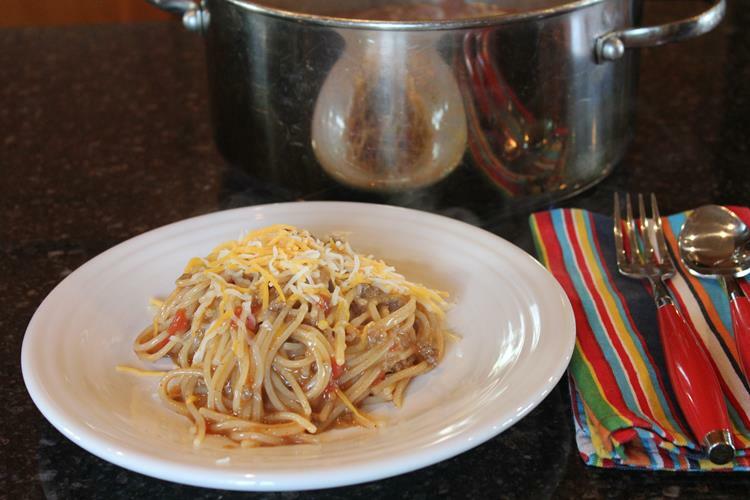 This is also an easy meal to make gluten free using gluten free pasta. In a large skillet or pan cook ground beef until browned and no longer pink. Drain off any fat. Add taco seasoning, undrained tomatoes, chicken broth, and spaghetti to the meat. 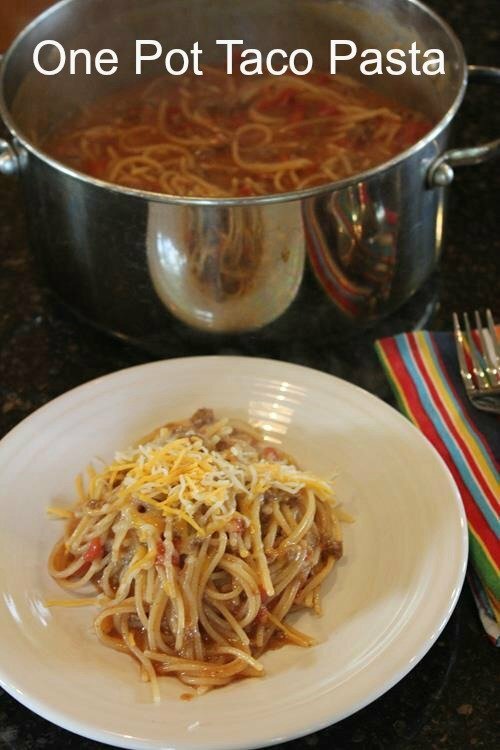 Reduce heat to a simmer and cook 10 minutes or until spaghetti is tender and liquid is absorbed. Stir occasionally while pasta is cooking. If desired serve with cheese sprinkled on top.